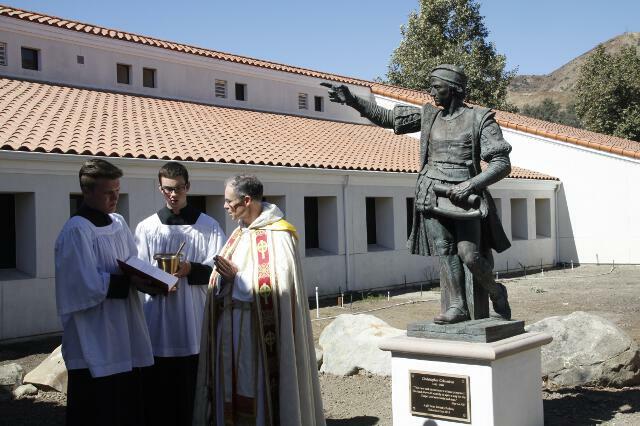 On Columbus Day, a 25-year old statue of the holiday’s namesake found a new home on the campus of Thomas Aquinas College. 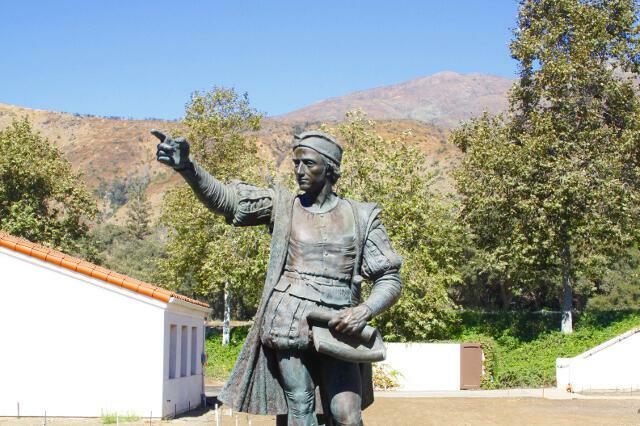 Statue of Christopher Columbus on the academic quadrangle. 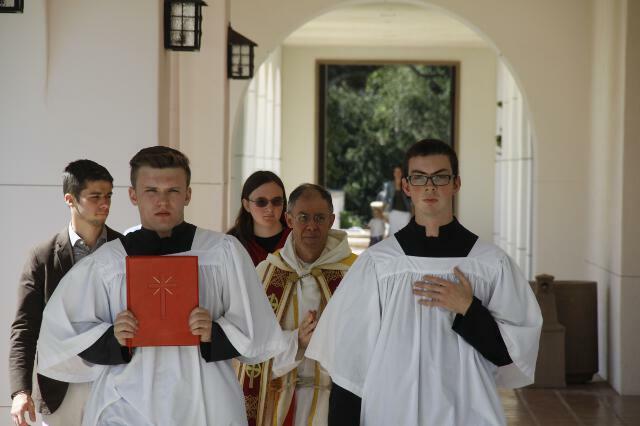 Head Chaplain Rev. 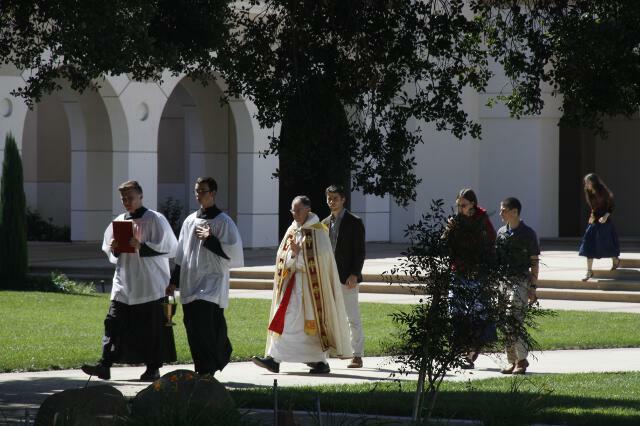 Paul Raftery, O.P., leads a procession from the Chapel to the statue. Friends gather in the arcade by the new statue. Fr. 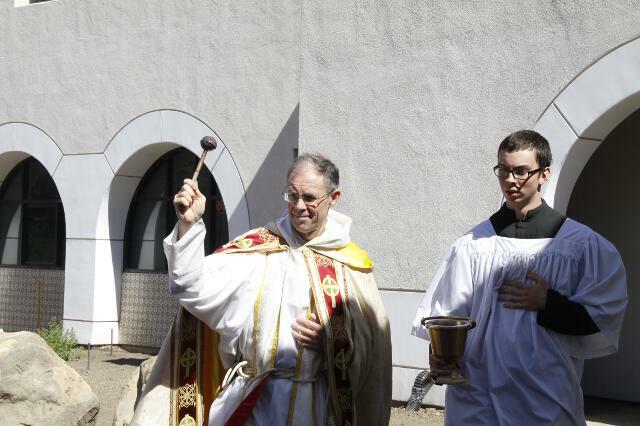 Paul offers a blessing. … and the surrounding garden with holy water. Landscape Supervisor Dave Gaston discusses plans for the garden. 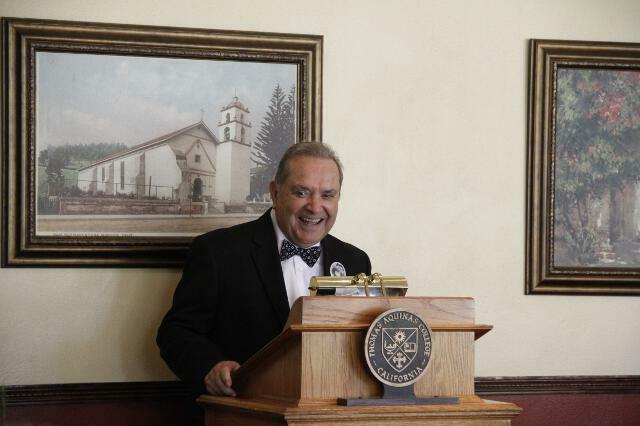 President McLean speaks at the luncheon following the statue blessing. 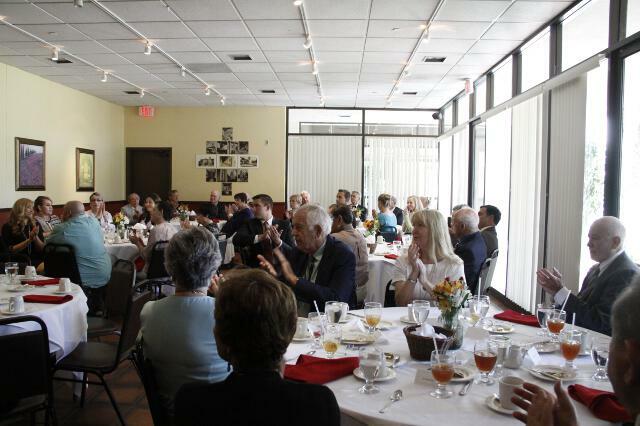 Mr. Barbera speaks at the luncheon following the statue blessing. 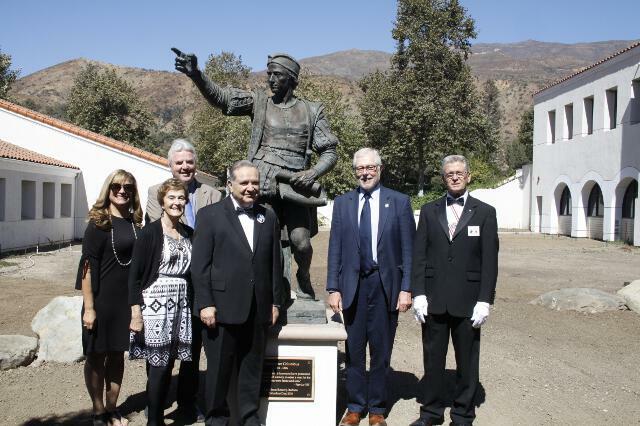 The history of the Columbus statue dates back to 1992, the quincentennial of the explorer’s first voyage to the New World. 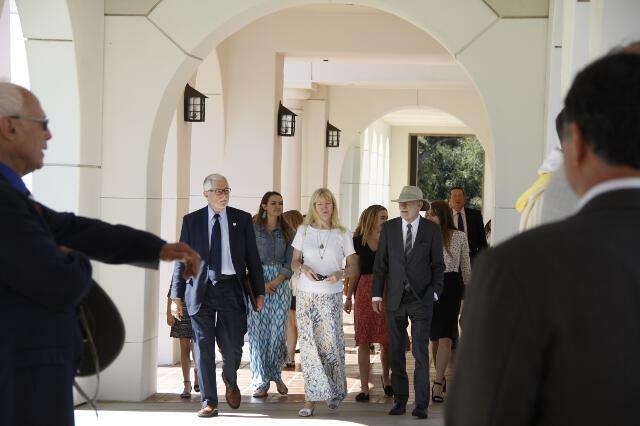 At the time, Mr. Barbera and other Italian-Americans formed a group called the Columbus 500 Congress, which presented the statue as a gift to Pepperdine University, where it stood for the next 25 years. 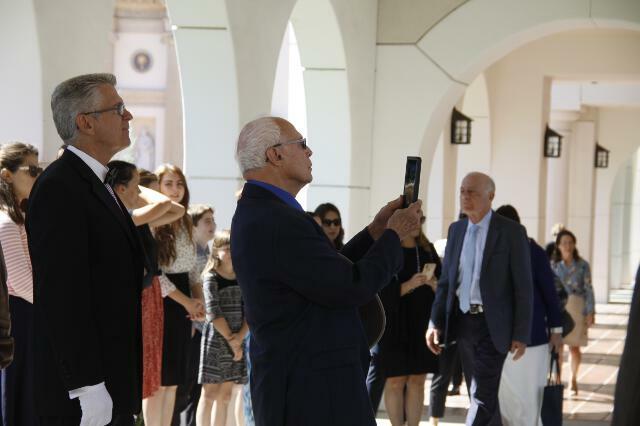 By 2017, however, Columbus had fallen into political disfavor and, in response to student opposition, the university removed the statue and placed it in storage — a decision that disappointed Mr. Barbera. 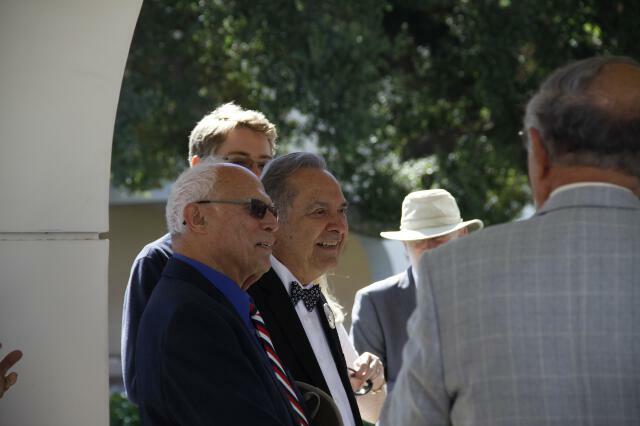 A proud Italian-American, Mr. Barbera is the founder, most recently, of The Mentoris Project, which publishes books chronicling the contributions of Italians to Western civilization. 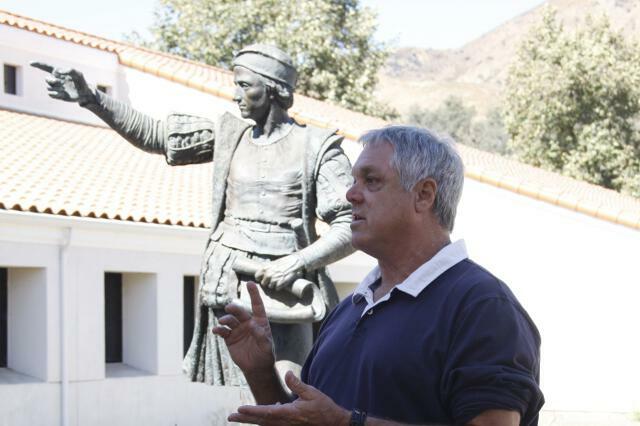 He did not want to see the legacy of Christopher Columbus discarded by an approach to history that lacks “an understanding of the times or the progress that we have made.” So he intervened to retrieve the statue, and ultimately chose to give it to Thomas Aquinas College. “Mr. 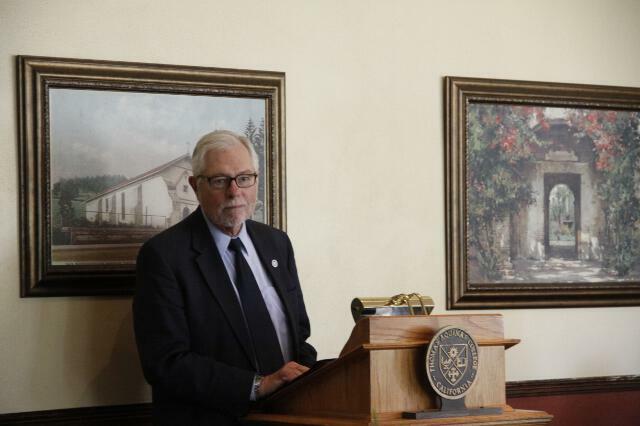 Barbera’s statue needed a worthy home, and we are happy to provide one,” says Dr. McLean. 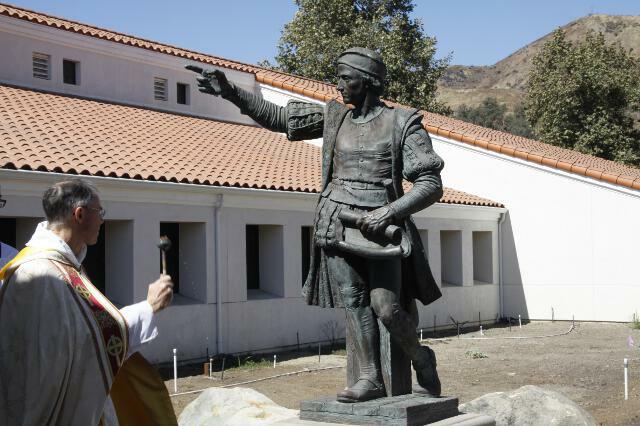 “Columbus was both a great explorer and devoted to the Catholic faith. 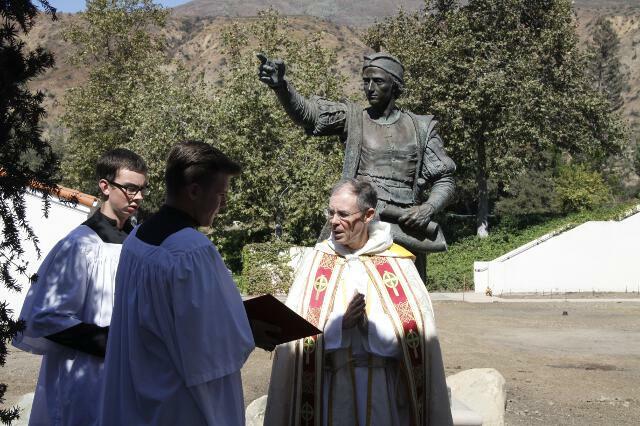 So we placed his statue next to the Albertus Magnus Science Building (that’s the explorer part), and it points toward the Chapel (that’s the Catholic faith part).” Notably, the statue shares the campus with two other key figures in the evangelization of the New World: St. Junipero Serra, whose statue stands before the residential hall bearing his name, and Our Lady of Guadalupe, whose image appears on the fountain at the foot of the quadrangle, opposite the Chapel. … to him far before all human considerations was the consideration of his ancient faith, which without question endowed him with strength of mind and will, and often strengthened and consoled him in the midst of the greatest difficulties. This view and aim is known to have possessed his mind above all; namely, to open a way for the Gospel over new lands and seas.